Before you drive away from the collision repair shop, you need to check carefully that everything looks good. You might not catch everything at first, but keep a close eye out for the first week or so. If something doesn’t look right, then report it to the shop immediately. Most shops will fix any minor damages or chips to the paint that happened during the repair process for free, so don’t hesitate to ask your representative. It’s very difficult to match a car’s exact paint color, particularly for high-end vehicles, so you’ll want to be sure you examine the car from many different angles. Examining your car under bright light will help you see any minute details. Likewise, be sure to look for any scratches or debris, and that car paint job is smooth and even. The first wash after getting a new paint job will probably, and understandably so, give you a bit of anxiety. While it may be convenient to go to your local drive-thru car wash, it isn’t the best idea. The problem is that most automatic car washes use brushes that easily scratch new paint finishes, especially on the hood and roof of your vehicle. So at least during the first couples washes, be sure to wash your car by hand. You’ll also want to use a soft cloth and avoid “dry wiping”, which can chip the paint and leave scratches. Cars need all kinds of chemicals to function, from gasoline and oil to antifreeze and transmission fluid. These type of chemicals can cause damage and miscoloring of new paint jobs if spilled or splashed on the surface. If possible, try to get all of your routine maintenance out of the way before your new paint job. 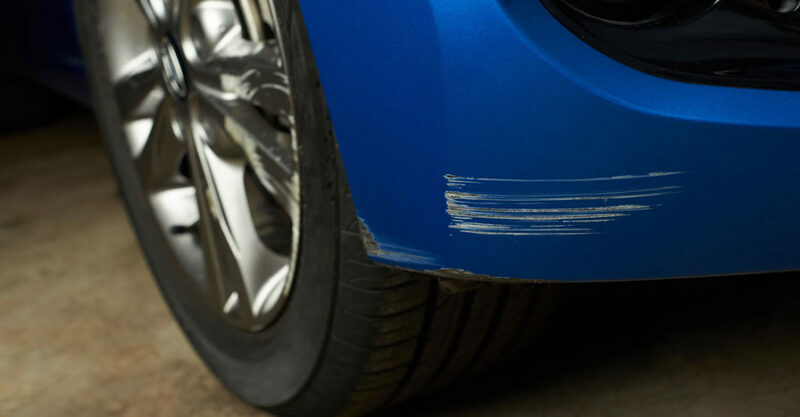 But if you can’t do that, be sure to point out to your car technician which areas have been repaired and ask them to be careful around them as they work. Gravel roads are paint work’s worst nightmare. Your tires will naturally kick-up small stones all along the sides and underbody of your vehicle. As much as possible, be sure to avoid gravel roads and construction areas until the paint has had enough time to harden. Otherwise, deep paint chips may form that can lead to rust damage and more. This is especially important for luxury vehicles whose parts are much more expensive and difficult to replace. If avoiding gravel roads is not an option, don’t be afraid to turn your hazard lights on, and drive very slowly down the shoulder of the road. A freshly painted car is a new start for you so it is essential to take extra precautions during the first couple months after repairs. Follow these steps and ask your auto repair shop for any additional advice they might have. By doing this, you’ll protect your investment and ensure your car will always be looking its best.